I seen this video and it really intrigued me. 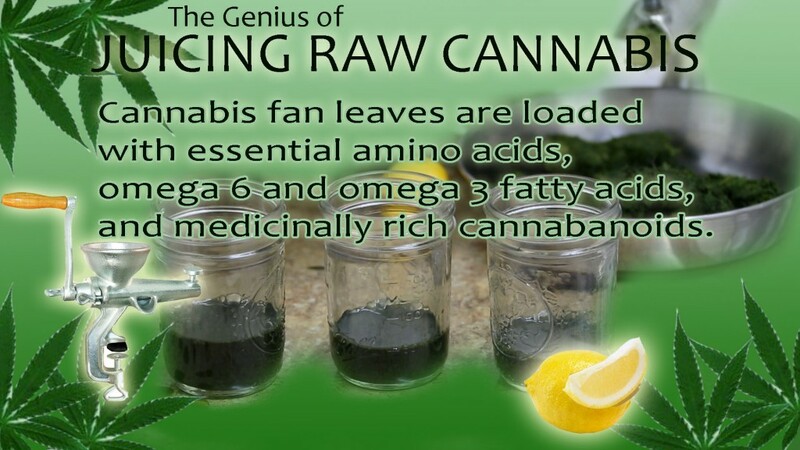 This video shares the stories of people who have changed their life from juicing raw cannabis leaves. I like many people use to think Maryjane was bad and had no healing benefits what so ever.. BUT in my personal experience with Rick Simpson's THC oil and knowing why Cannabis is really illegal allows me to proudly say I'm confident in this protocol.